My sense of humour has a different political allegiance to the rest of me. I am pinkly leftish with a good splosh of green, politically speaking, and see no likelihood of ever turning blue. But for most of my life I have enjoyed reading funny novels by rampantly Tory writers. I don’t care for non-funny Tory fiction at all, unless it was published before the Second World War. But I love safe unchanging nostalgic fictional worlds where the lower classes know their place, the upper classes rule wisely and well, and the middle classes have to be respectful or else they’re humiliated. This is clearly a deep-seated need for comfort fiction, as long as it’s funny. I can’t be bothered with tragic, dramatic romantic fiction that trots all these tropes out, nor am I very interested in the earnest educational Victorian saga, except as literary history. I have never watched a moment of Downton Abbey: I’d rather read Dornford Yates. There are, of course, many other funny writers who wrote their rightish politics into their novels. I suppose Wodehouse is one of them, but I don’t find him very funny after the first few stories. But Yates, and Angela Thirkell, are my favourites, for the waves of laughter that overpower me when I read their novels, that never wear out. Angela Thirkell has a website, run by the Angela Thirkell Society, where you can find out about her novels and her lif e. Dornford Yates doesn’t have a Society, though there is a thriving listserv here. 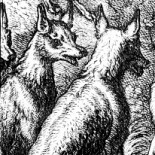 George Simmers wrote a very good online article about Yates and his humour, which analyses his use of facetiousness, one of Yates’ great strengths. But I feel that the best Yatesian source of comedy comes when he creates a rolling crescendo of event piled on event, strengthened by character traits and topped off by repartee that takes the rug away from your feet to deliver a mental pratfall that you will admire, later, when the giggles have subsided, for its precise architecture as well as its timeless power. How many writers can you think of whose jokes still work, in context, after 70 years? The trouble is, in writing about humour, you destroy it, so I won’t be quoting here. Yates’s comedy also depends on a long slow build-up, so a couple of excerpts wouldn’t illustrate anything except that awful feeling of having to be there, when one is not, or the very sad spectacle of someone repeating a joke and giggling madly, to an audience of the stony-faced unchuckled. 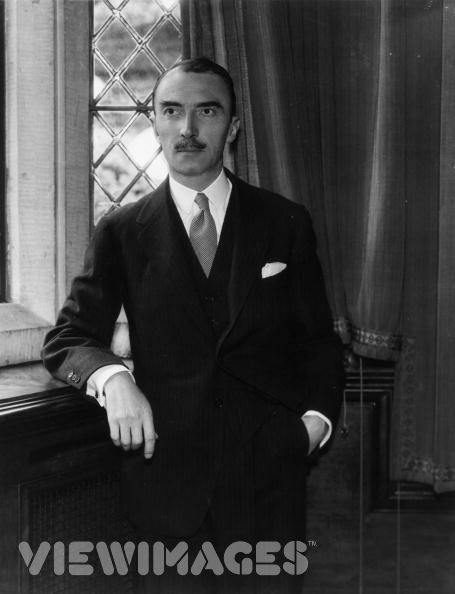 The Yates novels that display his humour best are the collections of Berry stories, in which a very tight-knit group of cousins, two married to each other and all five living together, have encounters and adventures, most often with the lower classes, the unfortunate aspirational, and the great unwashed Other. In these, the conservative and the gentleman is king and the rest are merely vermin. You could start with The Brother of Daphne (1914) or Berry and Co (1920), or Jonah and Co (1922), but the first full-length novel with the Berries is Adele and Co (1931), which contains a very good collection of classic Yatesian extended jokes. The chief wit is usually Berry, the leader and eldest of the group, whose shameless penchant for embarrassing his wife and cousins in public is often where the jokes begin. He can do this because he is utterly secure in his social position, and this is where the conservatism comes in. In the 1920s and 1930s, anyone attempting to rise in class or social status was a little insecure, because it might all go horribly wrong, or they might be found out. This insecurity emerged in telling indicators – small but unmistakeable to the trained eye – to do with the size of hat, colour of spats, width of tie, exuberance of corsage, tightness of coat. A gentleman dressed perfectly because a gentleman knew how, and if he didn’t, he didn’t care. When Berry dresses in drag as part of a smuggling operation in the Pyrenees in Adele and Co, his vulgarity and his shamelessness are as funny as the hideousness of his costume. Without the humour, Yates’s stories would be unbearble, because in all other respects he is a dictatorial monster. Servants exist to serve and think nothing of risking their lives on the illegal instructions of ther master. Women have to be perfectly shod to be ladies, and if they do anything as advanced as learn to drive, they had jolly well better be pure and grey-eyed as well. The customs exist to be dismissed, and smuggling into France has to happen until the government comes to its senses about fiddling little things like duty. Yates’s world exists to suit its unbearably righteous and arrogant gentlemen, but when they’re funny as well, I just love those gentlemen. Dornford Yates’s books are pretty much all out of print, but you can find them easily in second-hand bookshops, and online. Kate podcasts weekly about the books she really, really likes on, on http://www.reallylikethisbook.com. ‘The stony-faced unchuckled’ – a wonderful compression, worthy of Yates himself. What’s more, my spellcheck just tried to turn the phrase into ‘the stony-faced urn chuckled’! Lovely review! 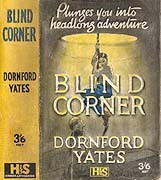 I know so few people who read or have ever read Dornford Yates that it’s nice to come across some online. I find the Berry books amusing rather than laugh out loud funny, but they do have their moments. I’d love to have seen a TV series of the Berry stories, but suspect they’d not go down too well with audiences (and commissioning editors) unless re-written. Ta! He is an acquired taste, absolutely, but worth it. You’ve piqued my curiosity, though I wonder if our sense of humor is remotely alike, since you don’t find Wodehouse that funny *cue shocked emoticon*. I should give Yates a try anyways, just to see what he’s like. I can’t believe this is the second piece this week that disses Downton Abbey. Oh woe! I really must re-learn to crack a smile at Dornford Yates and Angela Thirkell. I found them both uproarious when I was a teenager, then I spurned them when I discovered that the people’s flag was deepest pink (not as red as you might think) and they’ve stayed spurned ever since. I’m quite grown up now, so you’re inspiring me to rediscover how funny they are. I don’t think them making me laugh will change me forever! I read loads of these about ten years ago. Time for a re visit I think. This entry was posted on February 21, 2013 by Kate in Comedy, Entries by Kate, Fiction: 20th Century, Fiction: humour, fiction: mystery, Fiction: romance, Fiction: short stories, Uncategorized and tagged Angela Thirkell, Berry, conservative, Dornford Yates, drag, fast cards, gentlemen, ladies.